Women’s History Month honors the contributions women have made throughout history. Since 1981 the U.S has taken time to celebrate this every March. 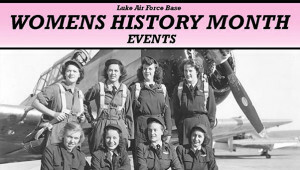 This year, the Women’s History Month committee at Luke Air Force Base, Ariz., scheduled an array of events throughout March to show admiration for these heroine’s role in history, past and present. These women will be honored in the first week of March during a breakfast at Club Five-Six from 7:30 to 9 a.m. with a mentoring session and a poem reading on phenomenal women, followed by a surprise guest speaker. Additional information will be placed throughout the base during the second week of March with a mentoring luncheon session on the third week of March to continue educating Thunderbolts. At the mentoring luncheon scheduled for March 14, women will share their stories and experiences celebrating life at the dining facility with Airmen. 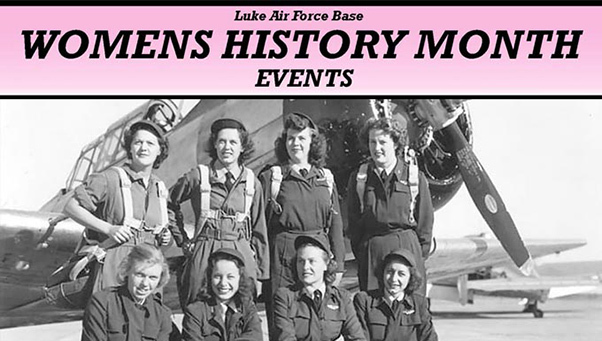 Finally, Women’s History Month will culminate with an event scheduled to brighten and encourage the young minds at Luke Elementary School, ensuring the effort and strength, of those past and present, is retained and passed on. “Without events like these, it would be difficult to sit down, talk, question and hear the encouraging stories these women possess,” said Staff Sgt. Kristina Permont, 63rd Fighter Squadron noncommissioned officer in charge of aviation resource management.